In setting the baby nursery furniture most of the mothers choose the Chinese system for arrangement and placement of furniture in your baby nursery. This system is called feng shui. This system is frequently used in business to arrange office furniture and in homes to arrange baby nursery furniture as a way to create positive energy in your environment. Feng shui (FengÂ ShuiÂ Tips) suggest that by positioning and aligning the baby nursery furniture in the room correctly energy will flow better in the room. Positive energy flow will create an environment to flourish for people of any age, especially a baby. To increase the flow of energy in your babyâ€™s room, you have to consider several important factors such as, room location, safety, colors, and baby nursery furniture arrangement. 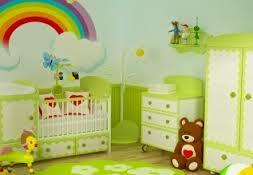 Using feng shui to arrange the baby nursery furniture (Baby nursery decoration tips) helps your babies less fussy. They feel comfortable in their surroundings and they will be healthy and flourish. 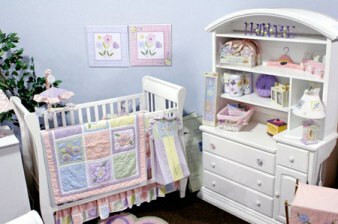 You have to follow some basic considerations to arrange the baby nursery furniture that will help both you and your baby to create a room that makes you happy. The first thing you have to do is, put your babyâ€™s room in a good location. Your new baby should have a bed room that is not over a garage or has an empty space below. For the first few months when the baby is very small, keep the convenient baby nursery furniture such as baskets or cribs (Tips for choosing Baby Cribs). Itâ€™s very useful if you buy rocking cribs and the cribs that can change into a youth bed or a day bed. The bedroom location should not be in a place where there is excessive noise that disturbs your baby sleep. TV should not be placed close to your babyâ€™s bedroom. Also be sure the bedroom is away from noisy street or neighbor. Donâ€™t place the bed against a window or directly inline with the door. Make sure that your baby does not sleep or placed against a slanted wall. Avoid placing the baby against a wall that is shared with a bathroom, toilet, and storage or utility-type room. Create good, but soft energy and movement, with mobiles hung close to a window to move gently in the light wind and keep soft music playing in the room. The baby nursery furniture should always be clutter free. Donâ€™t place anything underneath the crib. Place handpicked rockers and bouncing chairs. The vibrating action they produce soothes the baby. Some of the rockers do have swivel facility. 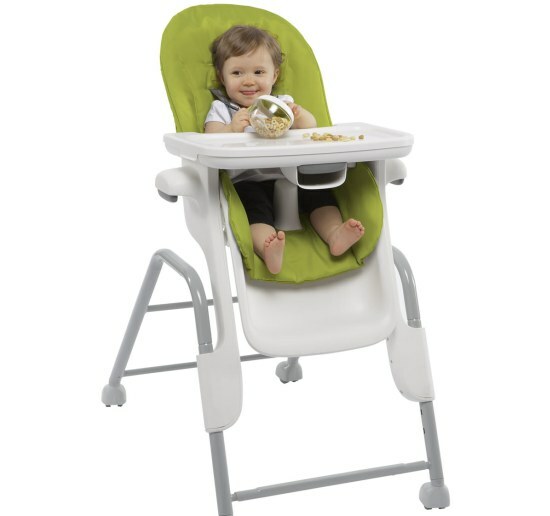 As baby gets older, a miniature size child rocking chair can be a treasured piece of baby nursery furniture. Take away the dirty diapers away from the room, so that clean and fresh smell circulates. Place a small air filter to ensure the clean and crisp air. 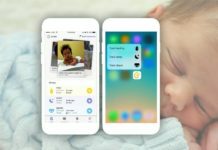 Previous articleHow To Get Your Cute Baby To Sleep Through The Night? 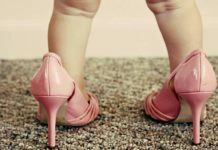 Next articleHow To Recognize The Stool Disorders In Your Infant Baby? 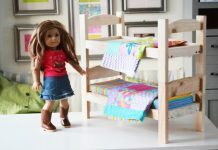 Design A Dream Bedroom For Your Toddler With Finest Toddler Beds!